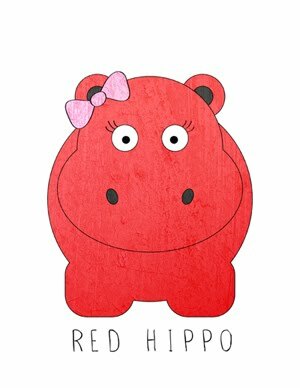 Red Hippo: Mom to an ELEVEN month old!!! 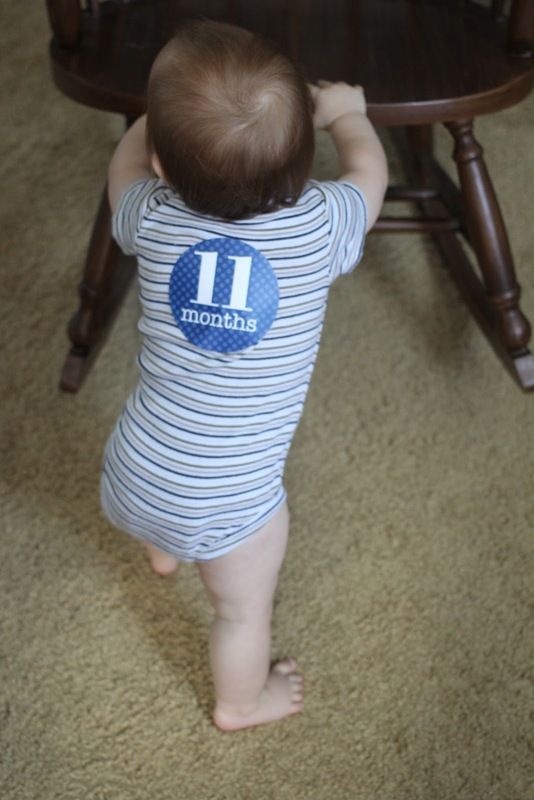 Here are eleven tidbits about my little Easton-pie. 1. He has six teeth, two on the bottom and four on top. He can eat semi-real food now! He chews just like a big boy and it still amazes me to see him eat things like...a whole peach. 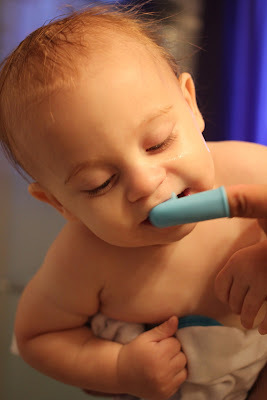 Also, we are brushing his teeth every night before bed and he just LOVES the toothbrush and toothpaste. But watch out...sometimes he bites down on our fingers!!! 2. He crawls under things. Easton just LOVES to crawl under my legs, under tables, under chairs, he even crawls under miniature picnic benches- which are so low to the ground I can't believe he can get through. 3. He walks while pushing chairs. Easton started pushing my rocking chair the day he turned eleven months. It's so cute to watch him walk with pride with a little help from the good-ol' chair. We don't have any walker toys because I wanted him to do just what he did....use his imagination and skills to find something around the house to help him do what babies do naturally. He did it!!!! 5. He has just discovered "hiding" under things. He loves to hide himself under blankets or curtains. He giggles and dances while under the material and then pulls it off and laughs at me!! It might be the most adorable thing EVER. 6. He has started jamming. He jams/dances to music now! As soon as I start singing or we play some music on the iPad, he starts bobbing his little body! We hope he has a musical ear and amazing singing voice (like his mama), but a good dancer is just fine too!! 8. He drinks from a sippy-cup. I have started the process of weaning Easton from nursing, and in order to do so I have been substituting two feedings a day with whole milk. Easton takes the milk just fine, and he really likes drinking it from a sippy-cup. We didn't use bottles much (as I breastfed almost exclusively until we gave him solids at 7 months), so I didn't want to give bottles to him now that he is older and needing to learn how to use a cup. Anyhooooooo, the daytime whole milk thing is working out pretty well! 9. He is sleeping [almost] through the night! We were having a really rough go of it for a while, due to what we now know was a 10 month sleep regression, but we did a little Ferber Method and now he sleeps like a champ! We put him down between 6 and 6:30pm and he sleeps until 4:30am. I feed him at that point and then he goes back down until 6:30!! Pretty good, I must say. 10. He has a bit of a mullet. His hair has grown so fine and straight (he has mama to thank for that) and it's sooooooo long in the back and still pretty short in front. Since that's the definition of a mullet- he has one. I didn't want to cut his hair until he hit two years old, but I think I'm going to have to amend that to one year old. I just can't bare the thought of "adult Easton" looking at pictures of himself as a baby and saying..."mom, why did you let me look like that?!?!" 11. He is still the sweetest baby around. My little guy has gotten fussier in the last two months, mostly because (I think) he wants to explore and be active constantly- he just doesn't want to be held down. BUT, despite those tantrums....he is still so happy almost all the time. He smiles all day long. Seeing that dimple and that open-mouth smile gives me goose bumps. He is mine. I'm so thankful and so blessed to have such a healthy, happy, and content baby who is thriving and growing EVERY DAY. Also, I have to note that it's been really cool watching him discover things. Everyone says THAT when they become parents and I never understood it until now. It's pretty incredible to WATCH his little mind working around something that he is discovering....it's probably my favorite thing about being a parent (that, and getting snuggles). Remember when he was just born, and I was so scared about being a mama?!?!? It's amazing how much I love it.